I was a guest at Joanne Weaver's art group today. The very friendly group were drawing and painting in Smarden village, which is so beautiful. I spotted some hay bales in a field near the playing fields and I do love a hay bale! 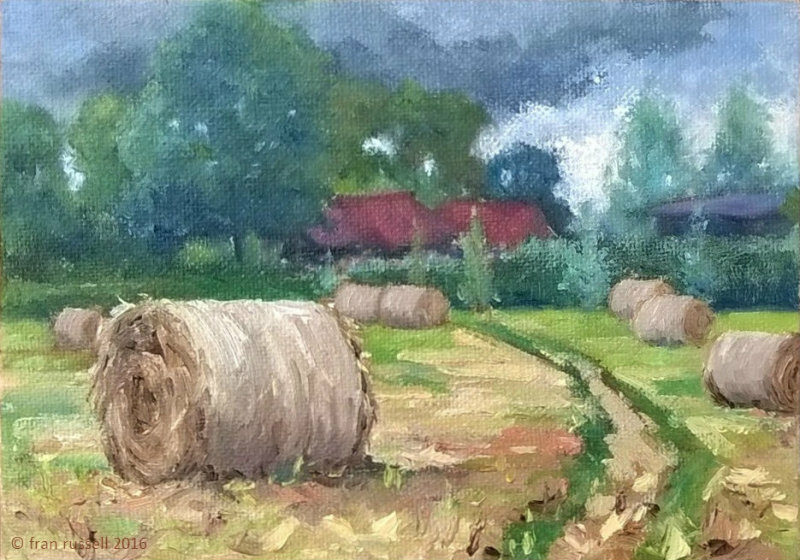 Despite the weather being a bit overcast and drizzly at times, the sun did manage to peek out through the clouds to create some highlights on the bales and in the otherwise grey sky. Despite having to use my umbrella from time to time, it was a really enjoyable afternoon.